Incentive plans have the potential to drive executives towards achieving superior results for their companies and investors. At the same time, real and perceived risks in these programs can either blunt the potential drive of management or encourage excessive risk taking. 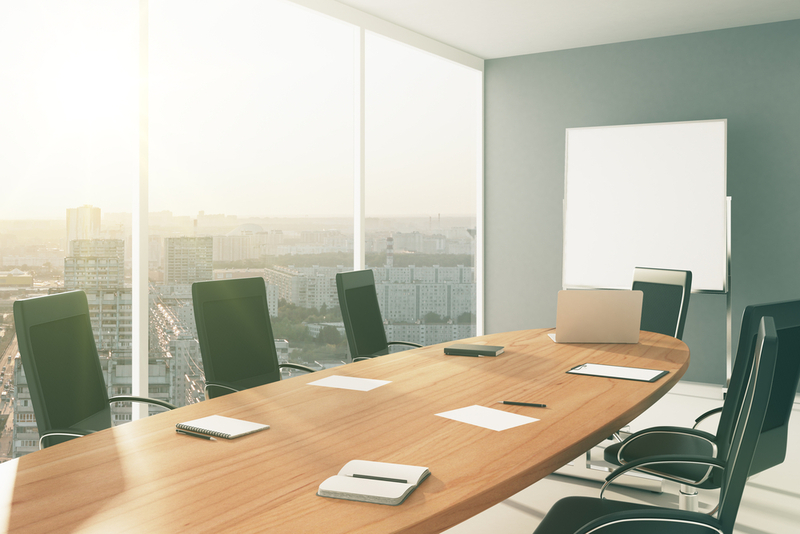 A key goal in well-designed executive incentive programs is to motivate executives to take the actions necessary to achieve strong results for shareholders while mitigating the motivation to take excessive risks. 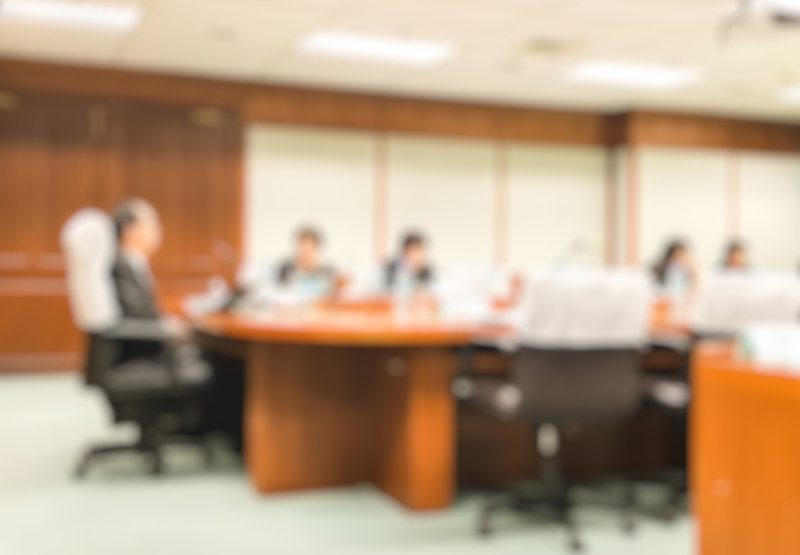 To date, the annual report that Compensation Committees provide in the CD&A on the presence of material risk in pay programs has been based largely on overall qualitative assessments done by the Company or their independent advisor. 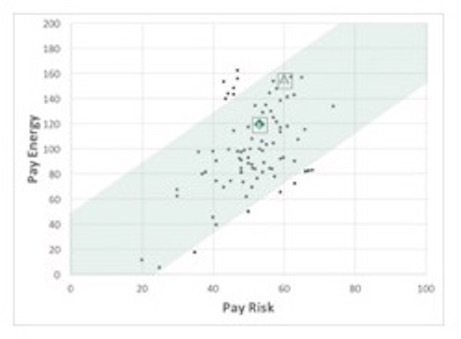 The most common risk assessment approach has been to look at each of the major incentive design elements in isolation — such as the presence or lack of a “cap” on annual incentives — and then judge the overall risk based on the types and number of potential risk-creating elements observed in the entire pay program. This qualitative approach is a self-assessment, and rarely does it look at relative risk compared to peer companies or a comparator group. Pay Governance has recently developed a quantitative measurement tool, tested with the Fortune 100, that will generate an overall score for both Pay Energy™ (the first measurement tool that identifies the degree to which any company’s pay program creates “drive, discipline and speed”) and Pay Risk (in this context, risk refers to financial risk). This can then be used as an additional diagnostic tool to evaluate the potential of a new or existing pay design to achieve an efficient balance of Pay Energy™ and risk management. 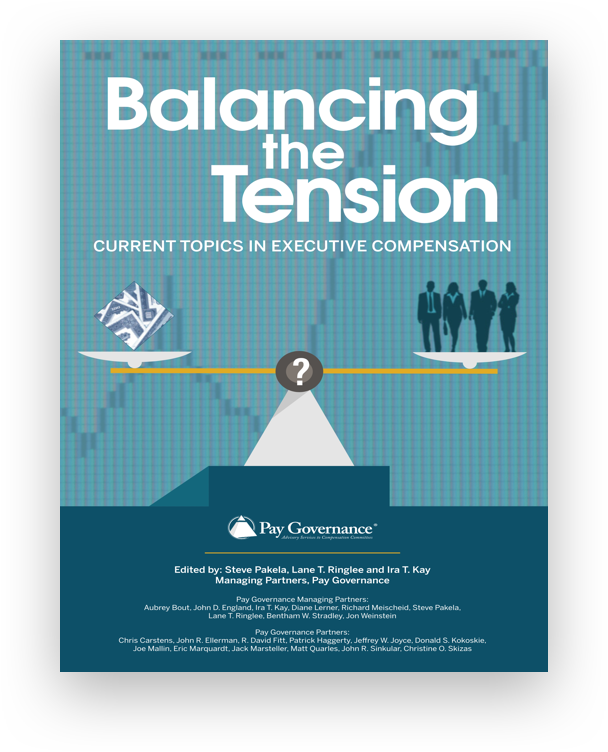 Pay Energy™ looks at the 4 major components of an executive pay program: base salary, annual and long-term incentives, and other compensation. Each component is weighted and within these 4 major components almost 50 separate design elements — each with up to 7 possible scoring outcomes — are processed to arrive at an overall indexed score that can range from 0 to 200 with a typical score being 100. Pay Governance recently took the majority of the Pay Energy™ model’s pay program design elements and revised the scoring methodology for each element based on the potential to motivate financial risk. This new tool, Pay Risk, creates an overall indexed score — generally ranging from 0 to 100 — for use in relative comparisons to a specified peer set. Below are examples of the major factors influencing both the Pay Energy™ and Pay Risk scores. Both example companies, Peer A and Peer B, have relatively high-energy pay programs. Granting 75% of long-term incentive plan (LTIP) value in stock options — and no restricted stock — boosts Pay Energy™. Relatively narrow performance focus (≤3 performance measures in the combined short- and LTIs) also boosts Pay Energy™. However, there are key design differences that make Peer B a more moderate-risk program overall. Multiple incentive plan performance metrics — Peer B uses 3 different incentive plan performance measures — EVA™, ROIC, and relative TSR — that capture a variety of results: profitability, capital efficiency, and relative returns to investors in this case. Peer A’s incentive plans, both annual and longer term, focus solely on earnings growth. This singular performance focus often is riskier, as it allows for any and all ways to grow earnings. Caps on payouts — Peer B uses both an absolute cap of 200% of target in the performance share plan and a mandatory deferral into stock of 25% of the total payout from the uncapped AIP. Peer A’s AIP is uncapped without a mandatory deferral. Risk Mitigating Policies — Peer B has established clawback and anti-hedging policies and requires its executives to retain 50% of the realized gains from options and PSUs in stock. Peer A does not have an anti-hedging or clawback policy and has stock ownership guidelines only for its CEO. Below is a graphic comparison of the Pay Energy™ and Pay Risk scores of an actual cross-section of 85 companies in 3 overlapping industry segments. The companies in the sample are all in businesses that share key operating or financial characteristics with Peer A from the earlier table. In the summary results, Peer B has a Pay Energy™ score strongly influenced by the heavy performance orientation of its pay program. The predominance of performance-based incentives in Peer B’s total pay helps create high energy to achieve results among the pay program’s participants. At the same time, the performance-leveraged programs could have the potential to be riskier for the company and its investors. In this particular case, however, Peer B’s use of primarily return- and value-enhancing performance metrics with required YOY improvement help mitigate any undue risk associated with the higher level of energy. In Pay Governance’s earlier research on Pay Energy™, we found strong positive correlations between the level of Pay Energy™ and total returns to investors. Pay Risk adds an additional dimension to help companies determine if energy is achieved with an appropriate level of risk for their business and culture. In the above graphic, the center shaded area represents a “balanced” risk and energy level (ie, energy and risk scores that are in comparable segments of the distribution of results around the norm). The desired level of drive, discipline, speed, and risk tolerance should take a company’s business, culture, and pay philosophy into account. In some businesses where there is a limited tolerance for risk — either by necessity in industries such as financial services and consumer foods — these other business considerations should be prominent in pay program design and the associated tolerance for Pay Risk. Pay Energy™ and Pay Risk are 2 diagnostic tools that should be considered in assessing the effectiveness of executive pay programs. 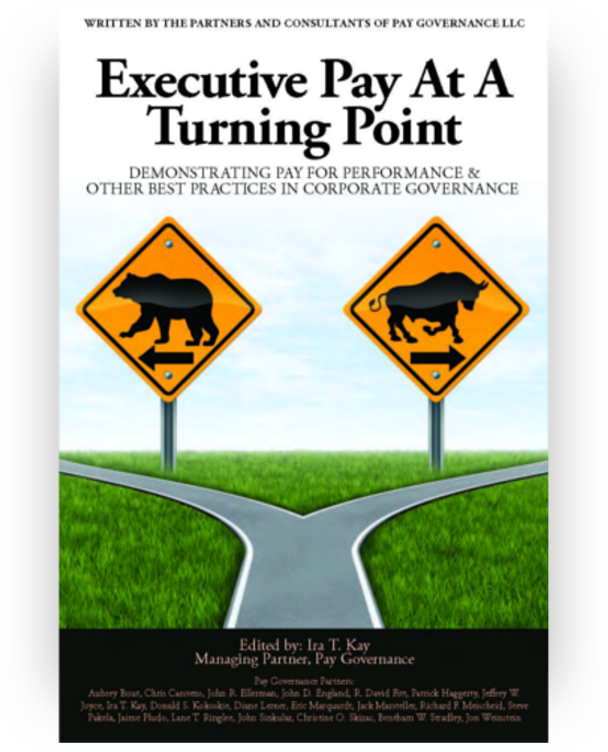 Both can be important ingredients in creating and maintaining pay programs that deliver results for shareholders while also properly motivating and influencing executive behavior.